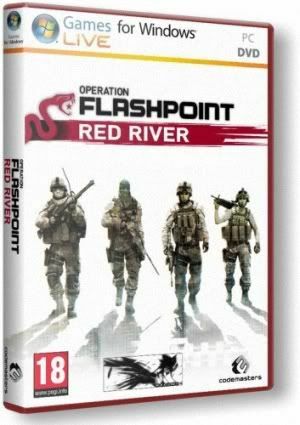 UK REVIEW--The challenge of creating a truly realistic battlefield is rarely attempted in video games, but Operation Flashpoint: Red River takes it on and comes very close to succeeding. 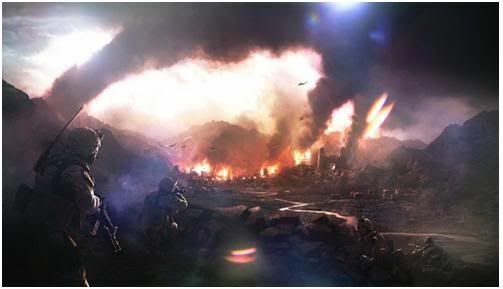 Unfortunately, the intensity of its highly tactical warzone is often broken by AI issues, poor checkpointing, and the need for a trial-and-error approach in some areas. Red River includes a well-presented and methodically paced campaign as well as some enjoyable cooperative multiplayer modes, but a long list of design and technical problems ultimately prevent this competent first-person shooter from being a great one. 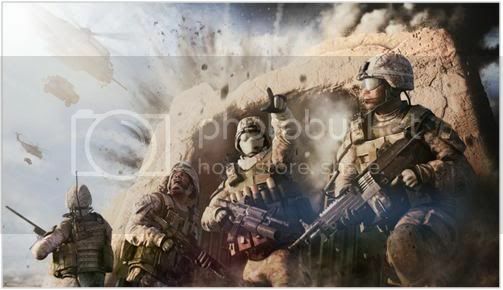 In the campaign you play as the leader of Fireteam Bravo, a four-man team that is part of a larger marine squad sent into Tajikistan to chase down insurgents who have fled the conflict in Afghanistan. What starts out as a small operation quickly escalates as China's People's Liberation Army forces move into the country to wipe out insurgents who have been attacking the Chinese border. 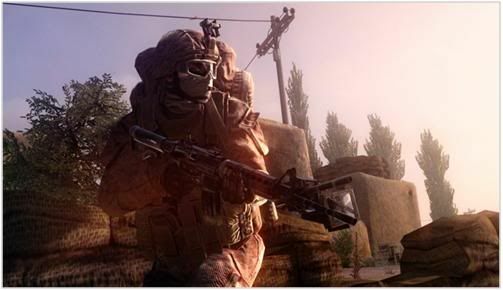 The story is well-presented with great looking cut-scenes that mix footage from the game with video from the real-world conflict in Afghanistan. However, the plot is a little lacking in originality. To control your team amid the increasing chaos of the Tajik battlefield, you can issue a variety of specific orders to your brothers in arms. These start with simple commands such as "follow me" or "hold position" and then progress to orders such as assaulting buildings, suppressing targets, and calling in airstrikes or artillery. The key to success in the single-player game is to make sure your team is always in a position to respond quickly to new situations. However, despite your best efforts, your AI squadmates show very little awareness of what is going on around them, and don't have much sense of self-preservation. They often wander off on their own even if told to hold position, for example, and when complying with the "follow" command, they walk into your crossfire with alarming regularity. 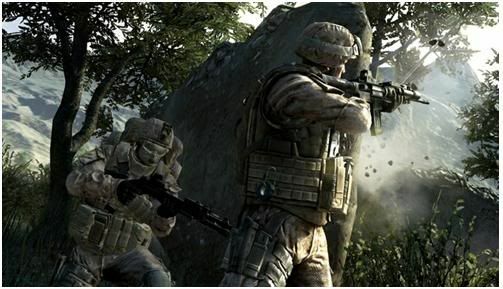 During particularly intense firefights, you sometimes spend as much time healing your teammates as you do shooting at the enemy. Friendly AI shows little desire to stay behind cover, and one hit is enough to incapacitate them. Healing your friends takes quite some time too, because there is one process to stop bleeding and another to heal wounds. Healing your team often leaves you exposed to the enemy, risking a quick death that forces you to start the firefight all over again. The careless AI dampens the realism of the battles and often forces you to repeat sections multiple times. This is made even worse by a checkpoint system that regularly forces you to replay overly long sections when you're killed. While these moments of the campaign are supremely frustrating, there are others that offer great satisfaction. Performing the perfect flanking maneuver is almost an art form and is a great way to surprise the enemy. 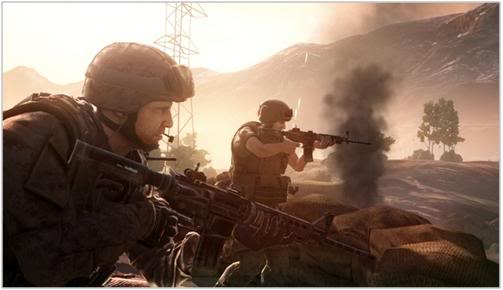 This element of surprise is often the key to succeeding in Red River's lengthy and difficult missions, because your enemies are deadly accurate even from several hundred yards away. Make your approach too obvious, and you might quickly find yourself in a bottleneck with enemy forces bearing down from all sides. Most battles take place at a range of around 100 to 150 yards, but if your enemies see a chance to get up close and personal, they will take it. If you let them get too close, the fight will be over very quickly, because they use similar tactics to your own, attempting to suppress and flank your position. The realistic, tactical ebb and flow to the battles is one of Red River's biggest strengths.